Acrylic painting 'Into the Storm' by Alex Solodov' this is an allegory of the storm both mentally and emotionally. 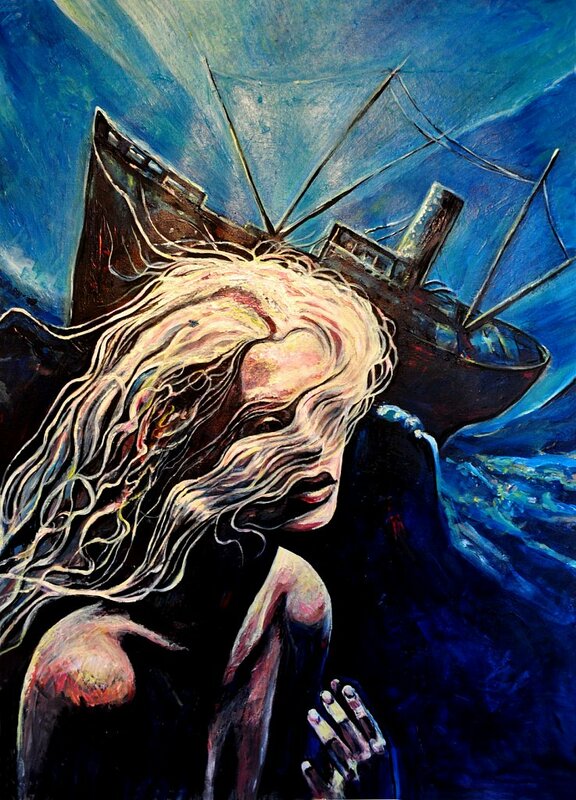 An old ship is bow the wave and probably wrecking but here is a woman figure symbolised the hope. This painting inspired by Russian mariner artist Aivazovsky. If you are not satisfied with your purchase, we will exchange your item(s) or refund your money (discluding shipping costs) via PayPal up to 8 days after you have received your order. All original paintings and fine art prints ship within 1-3 business days from Istanbul, Turkey. Shipping by registered airmail, arrival time: 1-3 weeks depending on the geographical and shipping zone (appr. 1-2 week to EU and Europe, 1-3 weeks to US) . We always use priority registered mail shipping with tracking number. Art prints and originals shipped in a rigid protective flat packaging (for sizes below A3) or rigid protective tube (for sizes A3 and above). Our aim is to dispatch all artwork to you as soon as we receive your order. Time to ship any order is usually in the next business day, but can take up to 3 business days. 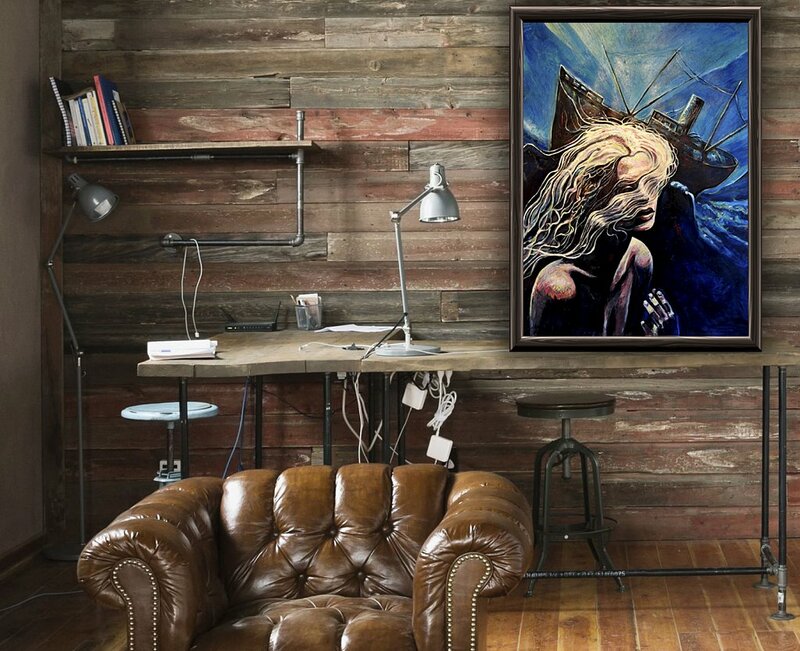 We currently ship our original artworks and fine art prints worldwide. Shipping of any additional prints and originals in the same order at no extra charge.